A high water temp can be detrimental to an engine. Heat is the enemy of performance and reliability. 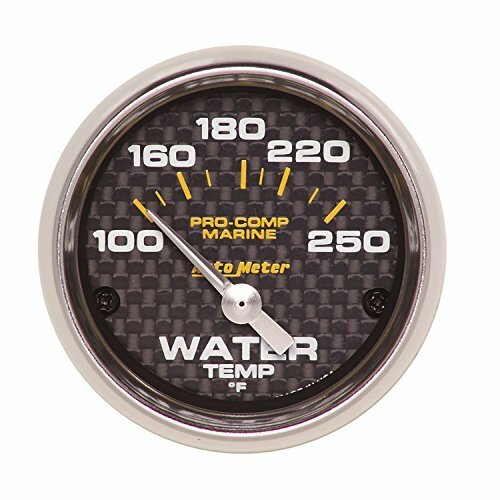 Keep tabs on your temps with the most trusted water temperature gauge on the market. AutoMeter's advanced 1/8" NPT temperature transducer (990344) is available separately for a simple installation on any application. Keep tabs on the health and output of your boats electrical system safely and accurately. With a patented air core meter movement, this gauge operates with category defining accuracy anywhere from 8-18 volts on negative ground electrical systems. Installation is simple and it can keep you from being stranded on the water. The latest in technology and the easiest possible way to add a highly accurate speedometer to your vehicle. 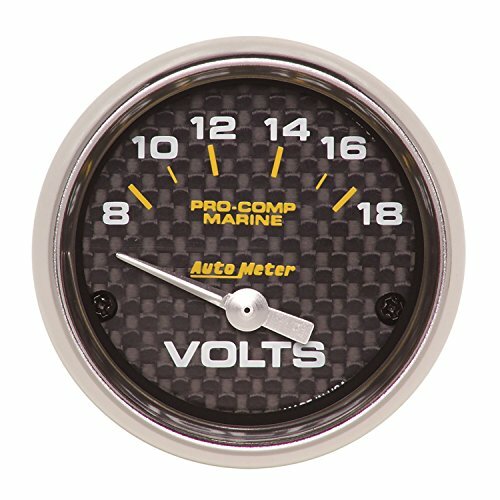 Auto Meter's advanced GPS Speedometers require no interface with your vehicle aside from power and ground. Their ultra fast, omnidirectional micro antenna is included for true plug and play functionality and never requires calibration. Configurable Rally Nav display shows odometer, trip odometer, time/date, GPS coordinates, heading info, compass, and peak speed recall. 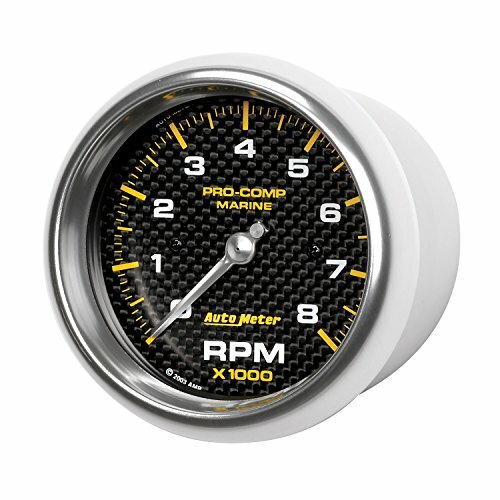 Quite simply, the easiest, most accurate speedometer available. Quite possibly the most critical vital to monitor, engine oil pressure can mean the difference between making it back to shore and needing to replace the engine. 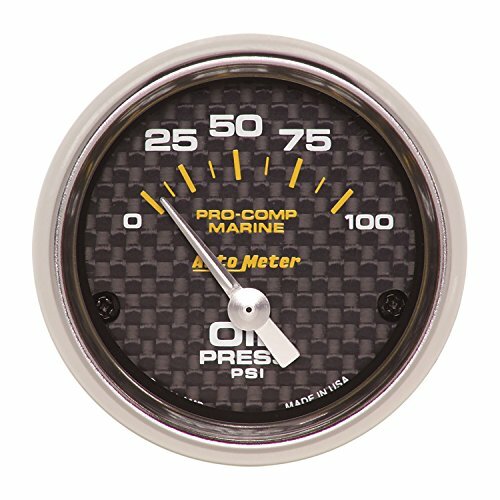 The patented air core meter movement provides the durability and accuracy that you expect from the AutoMeter name. Throughout 57 years of building the world's best competition instruments, this meter movement has been the engine powering the machine that sets the benchmark. A single wire, 1/8" NPT oil pressure sender (990342) is available separately. A high water temp can be detrimental to an engine. Heat is the enemy of performance and reliability. 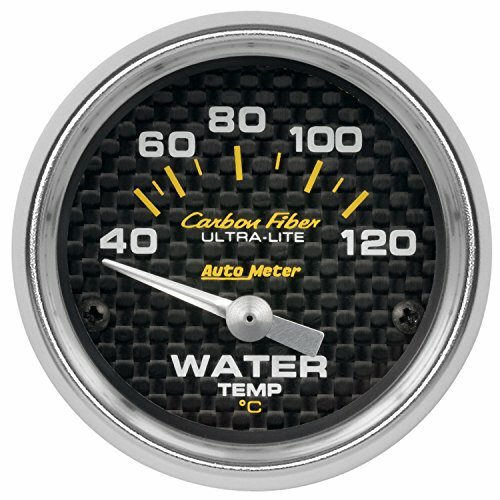 Keep tabs on your temps with the most trusted water temperature gauge on the market. AutoMeter's advanced 1/8" NPT temperature transducer is included for a simple installation on any application. 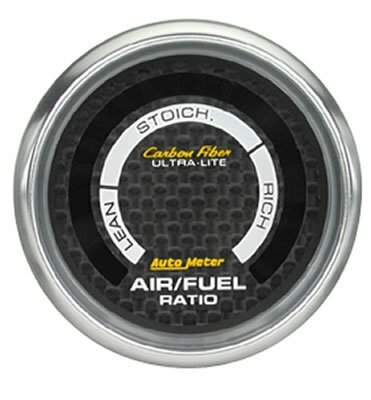 Autometer Carbon Fiber 2 1/16 Air/Fuel Ratio GaugeBright, LED lit, digital gauges use micro processor controlled displays for the ultimate in precise, high-tech readings. Look to our digital units when you need an eye catching visual reference and an exact numeric reading. Since 1957, AutoMeter has set the standard in performance, accuracy and durability with their legendary Tachometers. 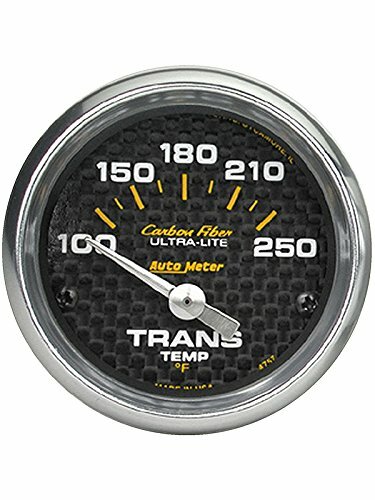 The absolute pinnacle of engineering and technology, it's no wonder AutoMeter can lay claim to more motorsports victories than every other gauge manufacturer combined. The patented air core meter movement, wound in house to exacting standards, can move the needle from 0 - 10,000 rpm in 333 milliseconds. 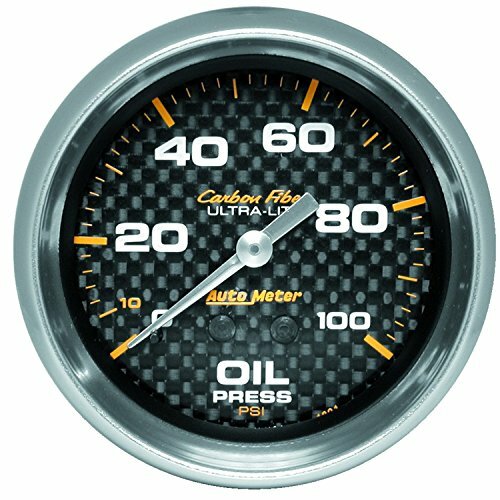 An inaugural inductee to the Hot Rod Speed Parts Hall of Fame, no other tachometer on the market has had anything approaching its impact on professional racing. Built for a lifetime of service under the harshest conditions, this is the no compromise tach for no compromise builds. When you're ready for the best, there isn't another choice. 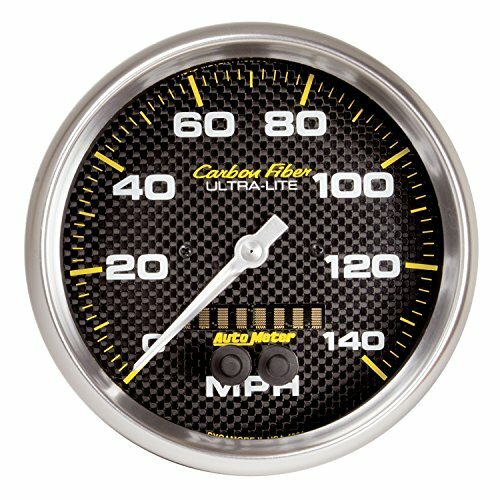 Shopping Results for "Autometer Carbon Fiber"